Published in Valiz's Antennae series, Gert Keunen's Alternative Mainstream explores the music that lies between the "mainstream" and the "underground"—an apparently diverse intermediate zone that includes genres ranging from hip hop to rock, from folk to electronic music. What kind of decision-making lies at the basis of the selections made by people working in the pop music circuit? Which general frames of thinking and evaluating do music professionals apply? Why do some bands and not others get ample airplay, concert bookings, press coverage and, as a result, cross over into this "alternative mainstream"? 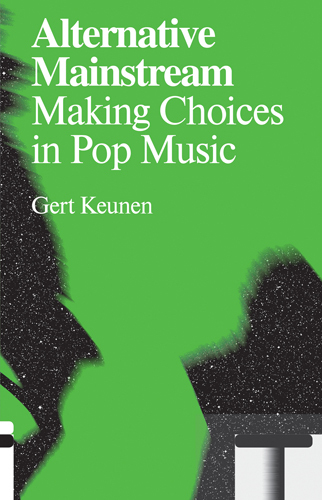 Author Gert Keunen, a Belgian publicist, musician and professor of music history, attempts to uncover what aesthetics and ideologies—and what broader social and economic factors—underscore the construction of the alternative mainstream, exploring the systems at work beneath the processes of decision-making and selection in popular music.